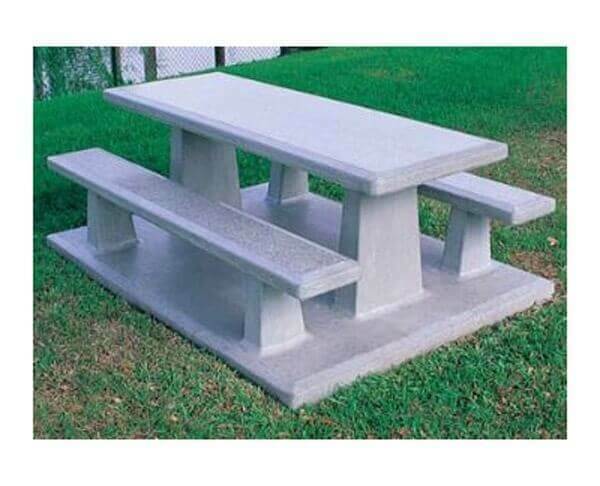 ﻿102" Rectangular Commercial Concrete Picnic Table with Attached Floor and Benches - 3500 lbs. 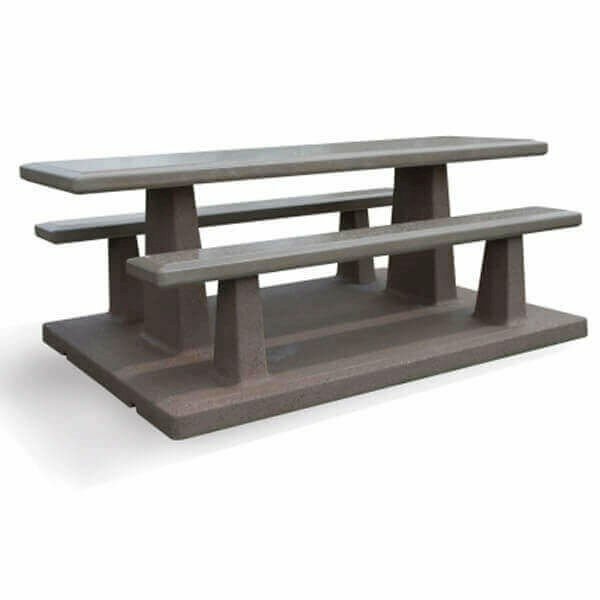 Our 102" commercial rectangular concrete picnic table with attached floor and benches is an excellent choice for a memorial or park area. Made of strong steel reinforced concrete, this table is a happy union of durability and low maintenance with a weight of 3500 lbs! 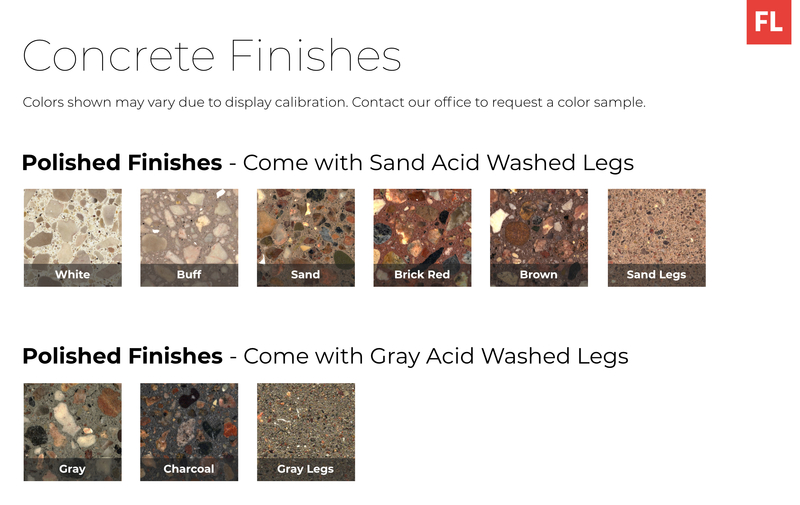 This table comes with its own base, eliminating the need for a poured footing for installation. The top and seats have a protective sealer and the legs feature a standard smooth buff finish to assure high-quality years of service. Easily seats 8 adults comfortably with a walk through design. Shipping for concrete tables will include a lift gate service. • Dimension: L 102" x W 62" x H 35"